You think you know Liquid? You don’t know SNAKE! Considering he’s only been in one game so far (His body anyway, up until Phantom Pain), Liquid, whose real name remains unknown, has left an impression. 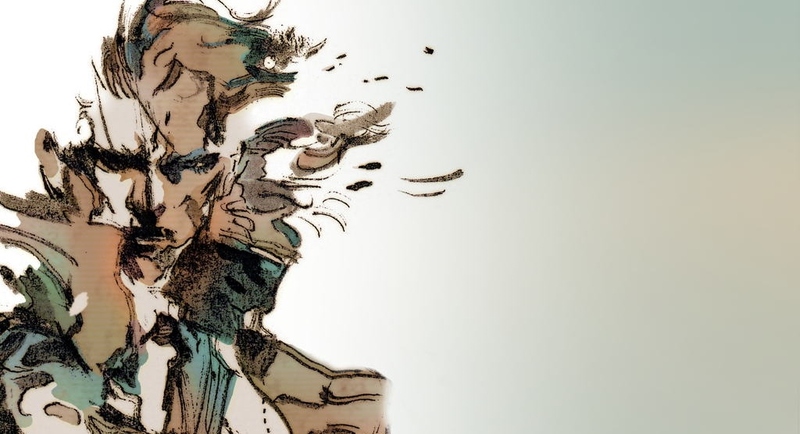 A renegade clone of the greatest soldier to ever live, Liquid was determined to get the remains of his “father” back…or blow everyone up using the world’s more ridiculous and potent weapon. That’s not much of a plan but it still demands to be recognized and taken seriously. Yeah, this sounds like ESTP. While many have typed Liquid as ENTJ given his brash charisma, a lead Se user seems more fitting for our boy who gets things done no matter how difficult…even if the long term outcome just can’t be a good one. Raised (but not born) in the UK, Liquid eventually joined the British special forces which led to him leading FOXHOUND, the baddest, most elite black ops team in fiction and in real life. Because If your name has a ‘snake’ in it, you’re going to do awesome things your entire freaking life. At some point, Liquid, leading FOXHOUND, took over the nuclear research facility on a remote island off the coast of Alaska, Shadow Moses. Here, he used Metal Gear Rex, a walking nuclear arsenal, as a bargaining chip to attempt to acquire the remains of his “father” Big Boss who had been in a vegetative state. Why? To use his DNA in making an army of genetically enhanced soldiers. 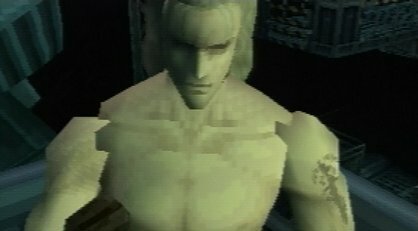 Though once his twin brother Solid enters the picture, as played in MGS1, things take a turn for the intense as Liquid quickly catches on and so became the events of Shadow Moses- where clone fought clone for their original…with certain key members acting under the orders of the third clone. But for all that backstory, what makes Liquid an ESTP is his willingness to act quickly and think on his toes in the heat of the moment toward a goal that had an interesting mix of personal and professional. ESTPs are one of the most excitable types in MBTI. While certain types can get excited at the prospect of any given idea or occurrence, the ESTP looks to be excited and act on this. It doesn’t mean they’re going to be all smiles and happiness in the midst of it either; no, ESTPs look for stimulation in a way that will challenge their mind and body. That’s not to say Liquid took Shadow Moses over for fun. But much of the game takes place due to Liquid’s displayed aggression we just wouldn’t get from an INTJ baddie who is the man behind the man behind the curtain; a contingency for their contingencies. Liquid get involved- piloting the Hind D, the long rants on why he hates Solid so much, and ultimately attempting to kill Solid with his bare hands- much of this isn’t necessary, it’s just what Liquid wants to do. I’ve been chastised previously for mentioning the competitiveness of the ESTP as a defining trait, but what can I say? It’s true. While others can enjoy the thrill of competition, specifically if we’re speaking of particular individuals, ESTPs in general will carry this torch throughout their life, with anyone they know. Kings and queens of one-upmanship, the ESTP has got to be the best in whatever they do, but that urge is never stronger than when another is challenging them. In Liquid’s case, many of the reasons he acts the way he does is out of hatred for Solid, the brother he believes to be seen as the golden child while Liquid received all the recessive genes…although it turned out he had the superior ones, he died believing himself a better warrior with lesser traits. ESTPs also have a knack for being unusually perceptive to their environment. For the jock stereotype of the ESTP, which is admittedly fitting, ESTPs often leave an impression on those around them for their ability to call it like they see it. No bull, just a straightforward perspective. Not that they’re always right, but you’re not going to have to dig deep with them as you might an INFJ; ESTPs will say what they think and act on it as well. It’s no wonder that even in his death, his actions would carry over to future Metal Gear storylines. Part of the jock stereotype itself comes from the perception of their surroundings be they change in tone of voice or particular movements from their opponent that allow them to “read” people physically much more naturally than most other types. If only Liquid had known he was the superior clone maybe he wouldn’t have harbored such a grudge toward his brother. This entry was posted on 09/01/2015 at 1:25 am and is filed under MBTI Artisans, MBTI Stuff with tags ESTP, Liquid Snake, mbti in fiction, metal gear solid. You can follow any responses to this entry through the RSS 2.0 feed. You can leave a response, or trackback from your own site.